These powerful vacuums come in a variety of designs that offer different features in order to accommodate specific applications. 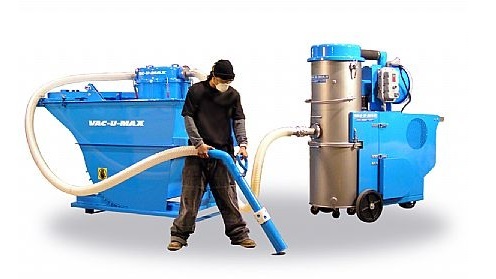 So whether you are working with sawdust, metal chips, or need to cover a lot of ground with your continuous duty vacuum, you can be sure that there is a continuous duty vacuum out there for you. These vacuums are the true workhorses within the vacuum industry as they offer virtually all of the same advantages of a common workshop vacuum such as point of source extraction, general shop maintenance, or any other common vacuum use but they are able to stay powered on for 24 hours without you ever having to worry about the engine burning out on you. This peace of mind is essential in a number of different manufacturing applications where continuous production is present. Instead of having to purchase multiple vacuum and cycle through those, a continuous vacuum can simply be switched on and left running until its job is done, no matter how long that may take. However, simply purchasing any continuous duty vacuum can backfire quickly as you will need to have a system that is designed to function properly within your type of application. Knowing your application requirements is perhaps the best place to start when it comes to finding the right continuous duty vacuum cleaner. As stated before, these vacuums come in a variety of designs and features in order to better suit specific applications. For example, if you work with a lot of fine powders there are continuous duty vacuums that are manufactured with that application in mind. Those same vacuums will not function properly if you work with metal and need to clean up the metal scraps that are left over. Explaining your application to a trusted continuous duty vacuum manufacturer is the best way to receive a product that works best for you. Continuous Duty Vacuums Continuous duty vacuums are vacuum cleaners that have the ability to run for 24 hours a day, seven days a week. This means that they are ideal for manufacturing operations and production lines as they are relatively maintenance free and you do not have to worry about engine burnout.